Why Do Our Politicians Misuse Words? For months now, our political representatives and major media outlets have been going on an on about something called “income inequality.” It’s terrible, they tell us, and responsible for much of what’s wrong in Western society today. So we’d better do something to end it, soon. Now, unless I’m misreading the phrase, income inequality means simply that people have different incomes. Um… duh. But President Obama tells us income inequality is the defining challenge of our time. Former labor secretary Robert Reich (an economist who should know better) argues income inequality is the real reason for our terrible economy. And in the most despicable of these public statements, Hillary Clinton actually calls it a cancer. I beg your pardon, Madam Secretary? Cancer? What does any right-thinking person want to do with cancer? Adjust it? Weaken it a bit? No. They want to destroy it, annihilate it, kill every last diseased cell. Okay, and how exactly would we destroy, annihilate and kill the income-inequality cancer? By replacing it with income equality? As the kids would say: WTF? As radio host Dennis Prager points out, there are indeed places around the world where incomes are more or less equal among the populace. So we can actually view how income equality plays out in a real society. Know where those places are? North Korea. Cuba. Or any of the wonderfully prosperous Communist paradises throughout history where a good percentage of the citizenry has lived pretty close to starvation. But back to income inequality. Let’s say you make $80,000 a year and your boss makes $160,000 and your organization’s chief executive makes $1,000,000 a year. That’s a pretty big set of inequalities. But does the fact that your boss earns twice your salary harm you? Does your CEO’s $1,000,000 harm your boss, or you? Put another way: Let’s say you had two choices. Increase your own pay by $25,000 a year or reduce your boss’s salary by $80,000. Reducing your boss’s pay would decrease the “income inequality” cancer a lot more than raising your own salary. But would you really choose that option? Would any of these loudmouths screaming about income inequality want their own incomes to go down, to help close the income gap? Or put still another way: Imagine your income goes up. Yay! But your CEO’s goes up too — and a lot more. That actually increases the total income inequality at your organization. But does it hurt you? Or are both you and your CEO better off? What I’m saying is that from whichever angle you examine the phrase income inequality, the arguments against it fall apart instantly. Worse, the “cures” for it are horrific. Let’s say Hillary Clinton, President Obama, Robert Reich, The New York Times and all of the other influential progressives get their way, and we’re able to fix income inequality. What would that mean? That an entrepreneur about to max out his credit cards to develop an important new product will be limited by federal law to a new mandated annual income? That the surgeon who someday will save your life on the operating table won’t be allowed to earn more than 10% above the nation’s median salary? Would you bet your life that this surgeon will stick around under those circumstances? Actually, you are betting your life. Do you think that by enforcing “income equality”— as our politicians are telling us in no uncertain terms they wish they could do — we’ll have as many entrepreneurs, innovations, new products, doctors? Or will we have a lot less? And do you want to live in a society like that? Or do you want the risk-takers who bring us new products and services rewarded for their innovations? Won’t that encourage more people to innovate — and improve the quality of our lives? Hillary Clinton is a lot things that I am not fond of. But stupid isn’t one of them. She’s methodical and calculating in her public comments. She chooses her words carefully. So why choose cancer to describe the simple economic reality that a surgeon earns more than the person who delivers packages to the surgeon’s hospital? When stripped of all political implication, the phrase income inequality means nothing more than the obvious fact that in a free-market economy people earn different amounts of money based on how much value society places on their skills, expertise and labor. But people like Hillary Clinton don’t want such words stripped of their political implications. They want such words loaded with political implications, especially if those implications can create confusion, then resentments and ultimately politically exploitable divisions. Words matter. Shame on all of you public figures who intentionally misuse them for your own agendas. The kind folks at lifehack.org were gracious enough to publish another of my articles — this time about how to secure talent for your business venture, even on a tiny budget. You can find it here. I hope you enjoy it. You hear that term a lot, don’t you? “Literally!” In most cases, I’m also guessing you’re hearing it used incorrectly. “That scared me figuratively to death.” (And that’s why I’m still here to tell the tale). I understand the impulse. Literally has taken on that meaning in our language, adding emphasis, allowing us to slip an extra exclamation point into our speech when we need it. Figuratively just doesn’t cut it. In fact, it would have the opposite effect: It would undermine the emphasis. Still, though, be careful with your use of literally when you speak. It could get you figuratively (although not literally) laughed out of the room. So I was talking with my mom the other day. She’s a psychologist and a qualified medical evaluator. Her least favorite part of the job is writing Qualified Medical Evaluations (QMEs), which often require reviewing hundreds of pages of medical records and can take dozens of hours to write and edit. So to force herself to start, my mom first does the easiest possible tasks related to the report — typing her contact information, writing the patient’s name, etc. Then, she said, after a few minutes, she’s fully checked in — reviewing, writing, editing, getting it done. Works every time. I had just finished reading The War of Art by Steven Pressfield (the guy who wrote The Legend of Bagger Vance). The book (definitely worth your time) is all about beating what Pressfield calls “the resistance,” which is that part of us that’s scared to death to try anything, to take any chance, to do our work. So it shows up in all sorts of devious and subtle ways to undermine us — like procrastination, or distractions, or in my case writer’s block. Most of us never realize that all of these obstacles (and a zillion others just like them) are in fact the resistance. And that’s part of its genius and why it’s often so successful at stopping us from doing our best work. My mom’s trick for getting started on her QME reports is simply to tackle the easiest parts of the job first. Like stretching or warming up before a workout, she eases into a daunting project almost by tricking herself (tricking the resistance, actually) into starting. But once she’s started, other forces — her subconscious, her “muse,” call it what you want — conspire to help carry her the rest of the way. It also occurred to me that I have read many variations of this concept, from wildly different sources, all describing essentially the same idea that if you can just get through the first few minutes of starting what seems like an overwhelming job, all sorts of help will start showing up. Here are three quotes that I’ve found the most profound and helpful and which I hope can inspire you too. As soon as we step outside the campfire glow, our muse lights on our shoulder like a butterfly. The act of courage (of starting that tough project) calls forth infallibly that deeper part of ourselves that supports and sustains us. It’s in the doing that we begin to care. The muse visits during the act of creation, not before. All are trying to tell us the same thing. Starting is hard, yes, but it gets easier very quickly after you start, and before you know it you’ll actually be enjoying the process. Thanks, Mom. You were onto something, as usual. There’s an interesting rule in Hollywood for any would-be screenwriter hoping to sell a script. It’s unwritten but strictly enforced by the industry’s power structure. And many amateur screenwriters get it wrong at first. If you want your script read by a Hollywood producer or literary agent, the hardcopy you send had better be printed on standard, letter-sized, white printer paper, with no fancy cover, three-hole punched and bound with two (not three) of those brass fasteners with the circular top and two long tails. Pop the fasteners into the top and bottom holes (leave the center hole empty) and fan them out against the back to bind your script. Why is this so important? It sends a signal: You know how Hollywood demands to read screenplays. This obviously says nothing about your ability to write or about the quality of the script itself, but you’ve cleared the first hurdle. You’ve shown that you’re not a total amateur, which would end your script’s journey immediately. Why? Because, fair or not, Hollywood readers are busy people, inundated with screenplays. Experience has taught them that amateurs’ scripts are almost always terrible. So anything that sends that “amateur” signal will get your script trashed before it gets read. Many would-be screenwriters get this exactly backward. When they send their script to Hollywood, they print it on heavy paper, sometimes paper of various colors. Many even put the whole thing in an expensive leather journal or other high-end binding. Maybe they assume the extra care they show for the script will imply greater care went into writing it. Or maybe they just want their work to “stand out” against all of the other scripts flooding Hollywood at any given moment. These scripts do stand out, but what they tell the reader is that the writer is a complete newbie — hardly worth even the 10 seconds it would take to open the leather cover and read the title. Everything we put into writing sends signals to our readers — signals about our intelligence, our understanding of the subject matter, our seriousness, our maturity, our thought-processes. It’s worth stopping to consider the writing you’re putting out into your world — from the report you spent a month writing and editing, to the short email you dashed off this morning to a few colleagues. What signals are those documents conveying about you? Software entrepreneur Kyle Wiens has written a great article for the Harvard Business Review — I Won’t Hire People Who Use Poor Grammar. Here’s Why. His argument is that even though writing isn’t in everyone’s job description, it can still tell us a lot about people, including their ability to learn and apply what they’ve learned. That’s why Wiens says he gives a grammar test to everyone applying for a job with him — any type of job. Unfair, yes, but that’s reality. For anything you write and share, no matter how informal or casual, it’s worth your time to review the completed document before sending it, and to think about what signals it will send to your readers. Always think of your documents as virtual stand-ins for you “in your physical absence,” as Wiens puts it. In fact, I have only one argument with the article itself — and it’s not with the author but rather with the way Harvard Business Review displays it. Note the article’s title: I Won’t Hire People Who Use Poor Grammar. Here’s Why. That sends a signal, too, don’t you think? How much embarrassment can one typo cause? More than you’d think. Of course, this road sign misspelling of “RIGHT TURN ONLY” (just kidding) is an extreme example. The typos you make at work probably won’t ever find their way onto The Tonight Show with Jay Leno (where I originally saw this STPO picture), but they can still cause you embarrassment and even damage your professional reputation. When a colleague sends out documents with frequent typos, many of us cannot help but view that colleague as careless and even less competent than she truly is. But that doesn’t need to happen to any of us. Effectively proofreading your work and catching typos is easier than you might realize. 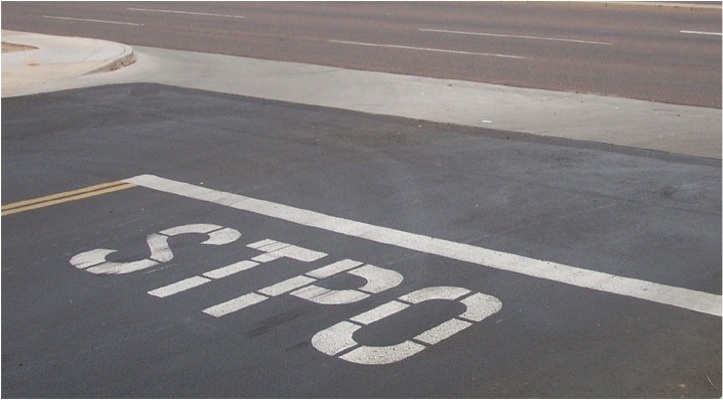 So, when you’re finished writing your document and you’re ready to send it out… stpo! First, use some or all of these proofreading techniques. If you write “form” when you mean “from,” or “not” instead of “now,” spell-check won’t catch the errors because the words aren’t misspelled. But here’s a trick to catch these sneaky typos. Keep a list of your most common errors. Then, when you’re done writing your document, use your Search function to look for them. If you’re pretty sure you didn’t use the word “form” anywhere in your document, but you did write “from” a number of times, type “form” into your document’s Search bar. If it shows up, just review the context around the word to determine whether it’s a typo or a legitimate use of the word. I think one reason we often can’t see mistakes in our writing is that we review our work in the same format and in the same place we created it – on our computer screen. Your brain tends to read what you think you typed, rather than what you actually typed, and it’s a lot easier to make this mistake if you’re proofreading in exactly the same environment where you wrote the material. Putting your document into a slightly different format than the one you used to write it – in this case, a printed sheet of paper – will force you to read it a little differently, because it will be just a little less familiar to you than the onscreen version you just spent so much time with. Reading your document out loud as you proofread it can benefit you in two ways. First, you read more slowly out loud than you do silently, because you have to sound out each word. This will force you to spend a bit more time reviewing each word, each phrase, each point you’ve made. As a result, you’ll be more likely to spot an error than if you simply blast through the text reading it silently to yourself. Second: When you read out loud, you’re able to put your document to an entirely different test – how it sounds. You can hear how your reader might read – and interpret – your words. Did you write a tongue twister of a phrase that will likely trip up your reader? Did you repeat yourself in different sections of the document and hadn’t noticed before? Were you sure that you wrote a certain point clearly, but when you hear yourself say the words out loud you find it’s not so clear after all? Reading your own words out loud can unveil all sorts of hidden issues. All of the techniques mentioned to this point, although helpful, might still fail you if you’re proofing a document you finished writing just seconds or minutes earlier. That’s because what you intended the document to state is still so clear in your mind, it could overwhelm even all of these other tricks to force yourself to read what’s actually there. Give it a full day, if possible, but at least several hours. The more you can forget how you meant a given sentence to read, the more likely you’ll be to catch any mistakes in that sentence. Related tip: Don’t leave your writing until the last minute. Leave yourself enough time to write, set aside, then proofread and send the document before your deadline. What all of these other techniques have in common is that they are designed to help you review your work with more objectivity, a fresher set of eyes, than you’ll naturally have as the document’s author. But the single best strategy is to have your written work proofread by a truly fresh set of eyes – a trusted colleague, preferably someone who had nothing to do with the document’s creation and hasn’t seen any portion of it during your drafting phase. I hope you find those tips helpful. Good lukc! I stumbled onto this insight recently as I watched a DVD lecture series from The Teaching Company, taught by University of Oklahoma professor J. Rufus Fears. The course, Life Lessons from the Great Books, finds in many of our great literary works practical wisdom about life — the importance of admitting mistakes, the futility of vengeance, the value in seeking more adventure out of life, what it takes to be a great leader. But the most eye-opening insight I took from the course’s 36 lectures was about the need for prolonged, uninterrupted quiet — to process, to reflect, to grow. And I wanted to share it with you. The digital age is a mind-boggling conquest of human ingenuity, one I’m sure most of us are thankful for. There’s no denying that our mobile phones, iPads, DVRs and Internet access add considerably to the quality of our lives. But Professor Fears points out that in modern society, many of us simply never turn these devices off, never fully unplug. We always have something on — our iPod at the gym, the radio in the car, a TV in the background. And this is to say nothing of the never-ending stream of digital communications we have to process, organize and react to — emails, texts, instant messages, voicemails, “friend” requests, etc. Our lives are often a constant wall of digital noise. And if we don’t stop the flow of inputs, the constant stimuli, when do we actually hear ourselves think? How do we process everything we’re taking in? As we head into a new year, most of us are probably about to start a list of resolutions. If I could recommend one that you might not have considered, it would be to find more quiet time. Turn it down. Turn it off. Sit quietly. And just think. Is It Okay to Make Your Work Documents Funny? That’s not rhetorical. It’s an open question. And your answer may well be different from mine. But if you think it is okay to write humor into your materials at work, I strongly advise doing so. I’ll explain why soon. A funny corporate PowerPoint presentation (I know!) to introduce a small technology startup. A very light and playful on-hold telephone message from a company’s CEO. A corporate annual report that hit all of the key Wall Street and SEC notes (fiscal year revenue, expenses, tax implications of… blah blah blah), but designed also to be lively and fun. ABC Company’s pay period begins on Sunday at 12:00 a.m. (at which time we expect you at your desk. Just kidding. 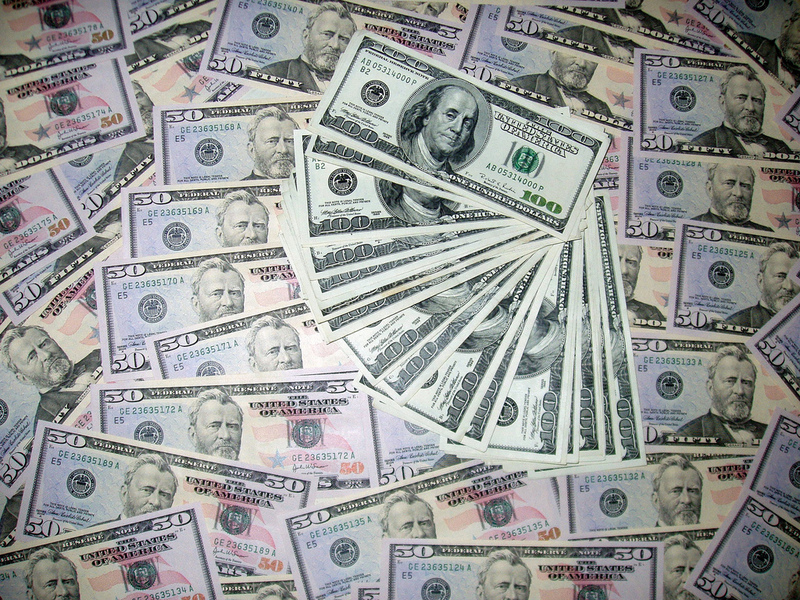 ), and ends Saturday at 11:59 p.m.
Paycheck errors: Did we screw up? Forget a few overtime hours? We apologize. Contact the office manager. Lost Paychecks: Did you screw up? Lose your check? Apology accepted. Contact the office manager. By now, you’ve probably gotten the impression that we’re a pretty laid-back organization. And in most respects we are. But this is no laughing matter. As hard as it is for us to be this strict, we must insist that you adhere to our work schedule, and that you’re here between, oh, sometime around 8:30 a.m. and, well, let’s say roughly 5:30 p.m. No exceptions! A few personal calls are okay when they’re necessary and when they do not interfere with your work. So what’s the common thread here? I think each of these businesses wanted to be seen as human, made of real people trying to accomplish things they care about. Sometimes they wanted to underscore the business’s human side for investors, sometimes for customers or the public, other times for their own staff. In other words, they wanted to make a real connection with people. And in every case, as far as I could determine, it worked. Callers loved that CEO’s monologue. That irreverent handbook helped the company attract great employees. And why wouldn’t it? If you read an employee handbook that tried to make you laugh, wouldn’t it seem like an interesting place to work? My point? I believe – and I admit this is completely subjective – that your documents at work can be made more readable, more relaxed, more valued, with a little appropriate and understated humor. Yes, even your staff memo. Even your PowerPoint presentation. Even your meeting agenda. In fact, especially serious documents like those. Please note, also, that humor wasn’t all there was to that handbook. The document ran dozens of pages and was in fact a real employee handbook – covering HIPAA, performance reviews, sexual harassment, blah blah blah. Same with all of these other documents. The funny works only if it is surrounded by the serious. And at the same time, it strengthens the serious. My advice? Try it. Add one bit of humor – just one – to your next report/email /agenda/whatever. See what happens. Humor brings people closer. It builds teams. And it makes all of the work you do more memorable. 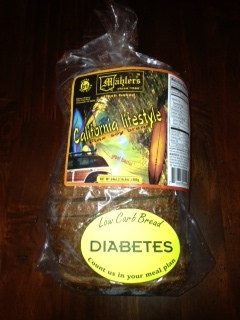 When I think bread, I think diabetes. What a lovely idea. Nothing makes me crave a food like seeing the name of a dreaded disease written right on the package. Might you be ready to give up some of these (or other) things too? The smartest, most insightful comment you’ve ever read on Facebook… was still just another 5 minutes wasted on Facebook. And be honest: when was the last time you read something there that was so smart or insightful? Facebook is stealing our lives in 5-minute increments. Facebook is the new smoking. It’s taken me 30 years to realize this, but I can’t change anyone’s mind. I have been in a debate about politics with a close friend for 10 years. He hasn’t budged. I’ve used all of my best arguments. I’m sure he has too, but — surprise — I still disagree with him. You know that ridiculous scene in way too many action movies, where one guy empties his gun shooting at his enemy, and when he’s out of bullets he throws the gun? That’s where my friend and I are in this decade-long debate. In fact I probably threw my gun at him back in year six. So what’s the point? Neither of us has anything to show for 10 years of arguing. Well, maybe hypertension. Useless debates are draining our lives in 20-minute increments. Debates are actually a lot like Facebook. I have an iPhone, an iPad (two, actually), iPods (three, maybe four)… sorry, now I’m mentally counting my computers, hang on…. Enough already. Most of us have our basic needs met. Basic wants too. So now we spend huge portions of our time and energy and mental focus just pursuing more stuff. Stuff is wasting our lives. Like Facebook. And debate. And smoking. So I’m clearing out my house, giving away everything I don’t really need or want. If all of this sounds crazy, can we just agree to disagree? I doubt I can change your mind.